In the WG anniversary garage, the Soviet T-72 Ural is hidden – at least these are the assumptions of the players. 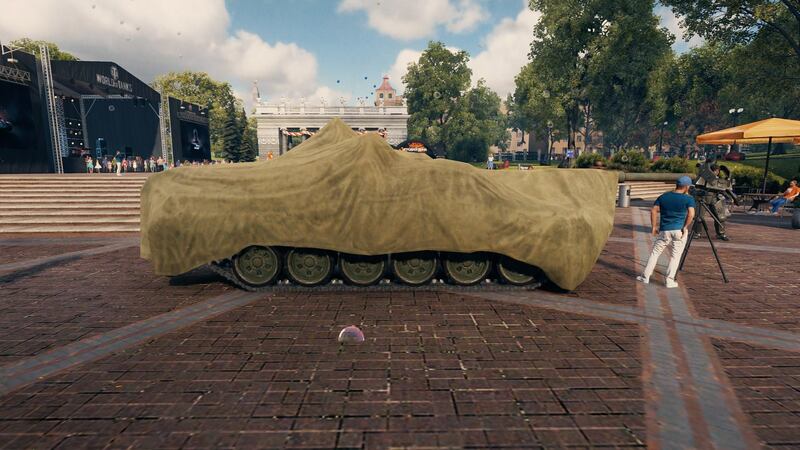 Soon a tier X Soviet tank. No way Wargaming to announce a modern tank game, because there is still a lot of potential and development in this current game. But Excalibur is completely fucked though. By “fucked” I mean it’s dead. Has everyone forgotten the T-90 they modeled and made for the April 1st joke a few years ago? I suspect this is the same one. And like the rainbow suitcase hidden in last years anniversary garage. This could be the same homage if you will. As WG knows… there are free cam garage mods. They could simply even be screwing with you hoping it would cause a stir. 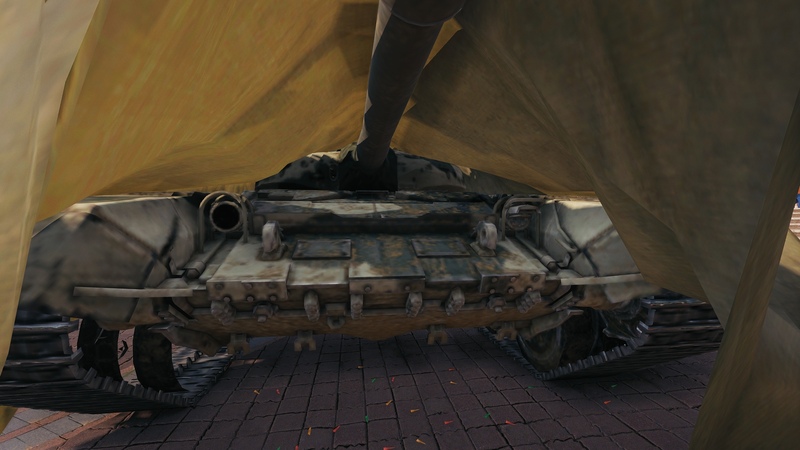 The turret looks different under the tarp. It’s missing the Kontakt 5 ERA and the Shtora infrared ATGM jamming system from the T-90. Instinctively, I’m not trusting a video posted on 1st of April. The video wasn’t posted as a proof that modern tanks are coming since it’s an obvious prank, but to compare the model of the T-90 seen in the video and the vehicle under the tarp. Sneeky Russians. Never buy used car from one. If I remember right, USSR didn’t directly sell them the later patch of monkey T-72s. Iraq brought it from Poland. That looks like a T-90 to me, at least the front is definitely that of a T-90 (played one in AW so I have another pixel model to compare with).